What is really going on in the Middle East? The Arab-Israeli Conflict. What are the causes, solutions? Many conflicting stories have been written and taught about the Arab-Israeli conflict, and it is sometimes hard to know what to believe. We provide educational resources on this web site which are free to use, aimed at Primary to A-Level and PSHE. They are all designed as a class resource with Teachers' Notes, and for individual study. We give free talks for all ages, which are all tailored for each individual audience - see Talks for more details. Middle East Education (London) is a registered charity [number 1165495] which seeks to provide all sides of the story, and to acquaint students with differing interpretations of historical events and the present situation in the Middle East, in order to help them reach their own conclusions based on this knowledge. 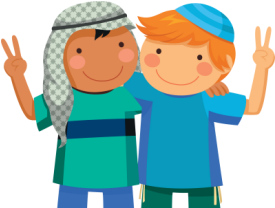 We believe that information and education are essential tools in furthering anti-racism, and our underlying aim is the promotion of harmonious relations between Jewish, Christian and Muslim communities in the UK. All the educational material on this website, as well as the contents of our talks, prepared in consultation with teachers and by Jewish, Christian and Muslim experts in the field working together, gives a balanced and factual look at the issues involved, in a format easily accessible by students and teachers.